Fair Dinkum Sheds always provide a real shed with real value at a fair dinkum price. We’ve been doing it for over 18 years, and with over 150,000 sheds and garages sold internationally, our experience speaks for itself. We’re experts in the design, engineering, supply and construction of quality New Zealand made steel sheds, barns, garages, carports, workshops and industrial buildings. We offer a complete customisation, engineering and design service. This includes site-specific drawings and a full set of structural calculations on all our sheds so you can be assured your shed has been designed for your site. And because of our national buying power you can be sure you are getting a great price. Fair Dinkum Sheds Australian business has been independently audited by the Australian Steel Institute - Fair Dinkum Sheds is the only company operating in both Australia and New Zealand that is a ShedSafeTM accredited company. 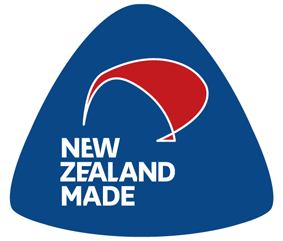 New Zealand uses the same design standards and Fair DInkum Sheds New Zealand distributors use the same quality tested system to supply the New Zealand market. This assures you that our companies designs and systems comply with the high standards set by the Australian Steel Institute. Under-engineered sheds put people and property at risk – don’t take a chance with a non-accredited company. All Fair Dinkum buildings are Designed and Certified to the Building Code of New Zealand and relevant New Zealand Standards. Steel Connections Designed to New Zealand Standard(NZS) 4100 and AS4600. Cold Formed Steel Members Designed to NZS4600. Hot Roller Steel Members Designed to NZS4100. Various other specialised components design to relevant standards.All of our quoting software is linked to CAD (Computer Aided Drafting) Software. This Software allows job specific plans to be drawn up ready to be printed and given to customers for council submission in minutes - literally at the click of a button! Footing layouts, Slab Plans, Bracing layouts, Bolt setout diagrams, Elevations, Sections, Footing Details, Connection Details, Member & material schedules, Project design criteria, Opening schedules, Temporary bracing layouts. Quickly and easily come up with a custom design best suited to you. View a 3D rendering of the design and changes you make instantly. Instantly quote to the dollar your custom design, informing you quickly on different prices as you add and remove features of your design. Save templates and designs of their most popular sheds which may suit exactly what you are looking for. Modify their existing designs to suit your requirements. Design an extension to your existing shed, whether it is a standard shed, garage, barn, stable, farm shed or anything else. 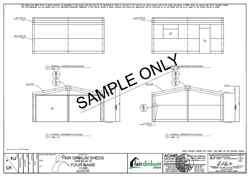 Provide you with a printout or PDF file of your shed design and list of specifications and materials. Provide you with a document containing all the engineering calculations associated with your building. This gives you reassurance the calculations have been done on your shed on your site – it is not a generic shed that may not suit the topographic or weather requirements of your site. MultiBuild software has been developed progressively over the last 15 years and as such combines all the features required to suit your individual needs. All of the shed designs produced by MultiBuild™ come with full set of site specific Structural Calculations, generated within seconds locally on their computer. We are the first in the industry to provide this massive competitive advantage to our distributor network. This advancement comes from the fact that our MultiBuild™ system does not utilise a library of designs but is actually generating the designs internally as we enter your requirements. This system has been fully tested and certified by a number of practising structural engineers. Fair Dinkum distributors have exclusive access to the MultiPlan system through their MultiBuild Software. This allows the distributor to request site specific AutoCAD prepared plans for an individual building in a turn-around time of fewer than 3 minutes. These plans have been prepared with the needs of New Zealand Councils in mind. However, as the soil and weather conditions are different across the country these plans and certification documents have been customised to suit individual areas requirements and are constantly being updated. A full set of site specific plans. A detailed list of the components included in your building. A set of instructions for your Fair Dinkum structure. Given our market leading position and over 18 years in the business, you can trust in the knowledge and experience of Fair Dinkum Sheds when it comes to council certifications. Click Here To Download a Set of Sample Plans. Full architectural plans, Wall framing diagrams, Wind Bracing Layouts, Concrete specifications, Bolt set out plans... to even the smallest connection detail to help a confused builder out on site!! The engineers are available to help re-engineer a non standard building or just give general advice so that you can assist your customer or builder. After the engineers are briefed on what the customer has requested, the engineers will be able to determine what materials will be suitable to get the job done.